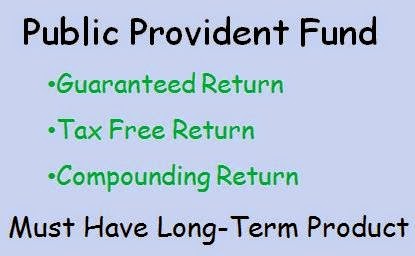 Do you know about PPF Account Benefits (Public provident fund)? Here is the list of benefits, PPF Account Calculator for calculating benefits of PPF saving scheme. On this calculator, you can simply put your monthly saving amount and you will get instant replay how much you will get maturity benefit from PPF saving account scheme. What is PPF? PPF is public provident fund scheme, one of the most popular investment options in india to save income tax and to get higher interest rate (8.7%) from saving account. 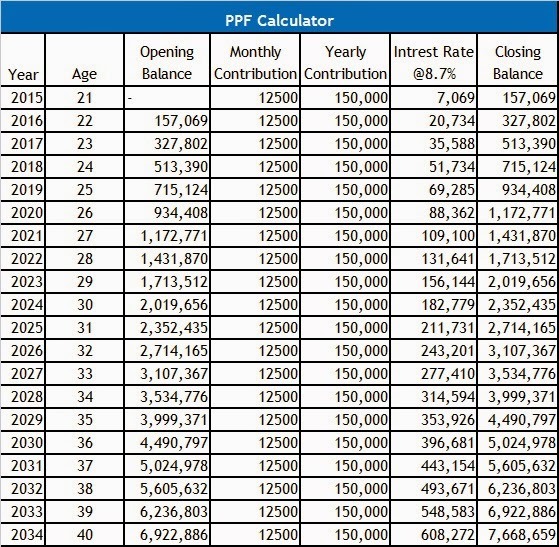 So, here is the PPF account calculator for people who want PPF calculator. Who can open PPF Account? – Any Indian resident can open PPF account in nearest bank which provides PPF account facility, if not bank, one can also open ppf account in post office near you. How much we can investment? Unlike other saving scheme, PPF has limit of investing, you can only invest Rs.1,50,000 amount per year in PPF account, not more than that. You have to minimum save Rs.500/- in ppf account in a year. Tax benefit: - Yes, we can easily claim tax deduction under 80 C form by mentioning PPF interest amount. How much interest rate we get in PPF account? You will get 8.7% of interest rate (announced by government of india) per year on PPF saving amount. Minimum Maturity Period in PPF? Minimum Maturity period of PPF account is 15 years (which you can extended more 5 to avail more benefits). You cannot withdraw money of PPF account before 7 year. As PPF scheme is falling in EEE category, which means you can get tax benefits for sure. Click here to download the ppf account calculator and check out the maturity amount of your monthly saving in ppf account. So, for example, if you Invest Rs.12,500/- per month (which is equal to Rs.1,50,000 per year) with Interest rate of 8.7 % per year, you will get Rs.76,68,000 for 20 years of investment period. Where can we open PPF Account? As mentioned above, you can even open PPF account at Post office too, if not, you can open PPF account at SBI Bank too. Download PPF Account Opening Application Form for SBI. You can also check out Benefits of Sukanya Sunidhi Yojana which gives 9.1% interest rate. You can also find highest fixed deposit rate in all bank list.